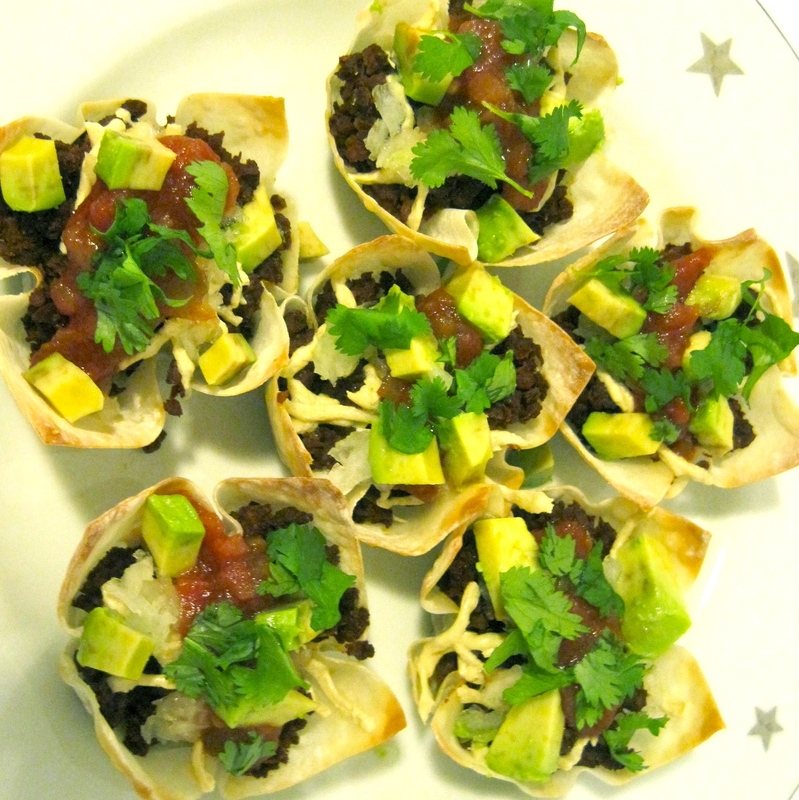 I saw a recipe for these great little taco cups on Pinterest and thought they could easily be veganized! 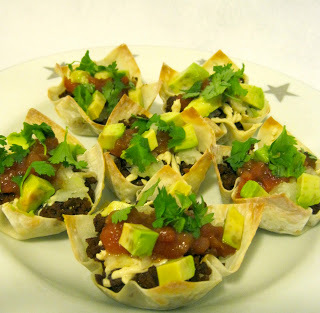 These would be awesome for a party or to bring to a pot luck! Your favorite taco toppings: vegan cheese, chopped onions, salsa, avocado, cilantro, etc. 2. Heat crumbles in pan (or microwave) until warm and scoop a couple spoonfuls into each cup and sprinkle with vegan cheese. 3. Bake for 8 minutes or until cups start to brown on the edges. Remove from oven, let cool for a minute and then top with whatever toppings you fancy.